Freakish mutations resulting from a deranged geniuses' mad science. 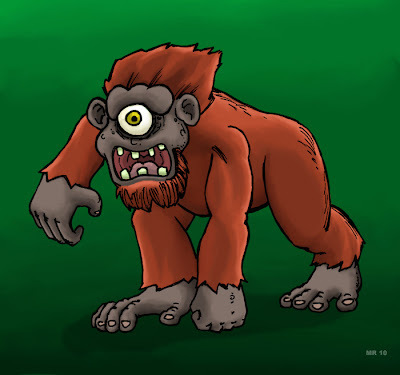 The Apeclops is more intelligent than average apes with it's brain capacity, and are able to use tools and follow complex instructions. Left to their own devices however they have degenerated into the most base animal savagery.